In just a few weeks, Costco will launch into another European market, with its much-anticipated entry into France. 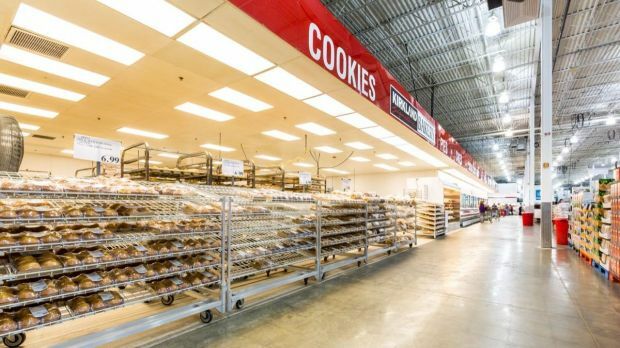 Costco, the US members-only cash & carry warehouse giant, entered its third European market, after the UK and Spain, by opening its first store in Iceland. This will shortly be followed by its much anticipated first store in France and will add to its existing portfolio of 30 stores in Europe. The store is located in Garðabær, a suburb of Reykjavik and has a sales area of around 20,000 sq m. The site includes a café, tyre centre, petrol station, opticians and hearing centre. In line with Costco’s approach, the assortment will comprise around 4,000 SKUs, including a changing assortment of some 500 seasonal items, which keep the offer fresh for returning customers. As in other markets, memberships will target businesses as well as individuals. After the UK, Spain and soon France, the remote island nation of Iceland appears as an odd step into the American giant’s venture in the European continent. With merely 334,000 inhabitants any further expansion appears close to nil. So how to understand this? Costco has obviously been long awaited by Icelandic shoppers. One fifth of the population joined a social media group aimed at discussing prices and purchases at this new exciting store. Costco seemingly channeled the outburst of disappointment with the domestic grocery retail alternatives that has been brewing under the surface for some time. This is understandable since the market is dominated by Hagar with around 59% market share according to LZ Retailytics data, with Kaupas and Samkaup sharing the remaining. All these retailers focus mainly on discount formats to offset as much as possible of high import costs and minimize shopper complaints of high prices. Costco brings the wind of change, and promises to beat these self-proclaimed discounters on price, seemingly unleashing a pilgrimage to the Costco store. This is achieved by a limited and range comprised of just 3,500-4,000 items, supplemented by an ever-changing seasonal range and a fantastic display of fresh goods. From this perspective, Icelanders where not as critical as their South-European counterparts regarding the membership fees: one in every ten inhabitants became a member before the store even opened its doors. Catchment area is optimal as Costco was once again very cautious regarding store location, placing itself near the traffic generating Ikea and only five minutes away from a competing Hagar hypermarket. It can draw most of the population to this one store, and offering the lowest prices for fuel across the country is merely the cherry on the cake. So what to expect going forward? As we said, we believe this Icelandic saga will be a one-off given the market size. The focus will rather be to maintain its goodwill by carrying on beating competitor prices. This might be challenging in the long run while still making profit, given the logistical challenges of operating on the remote island. For the competitors, the price bubble has been burst and even if we’re sure to see price matching attempts going forward it’s also likely that quality and selection will play a stronger role in their differentiation plans going forward.